Remember when I said that fixies were all over town? 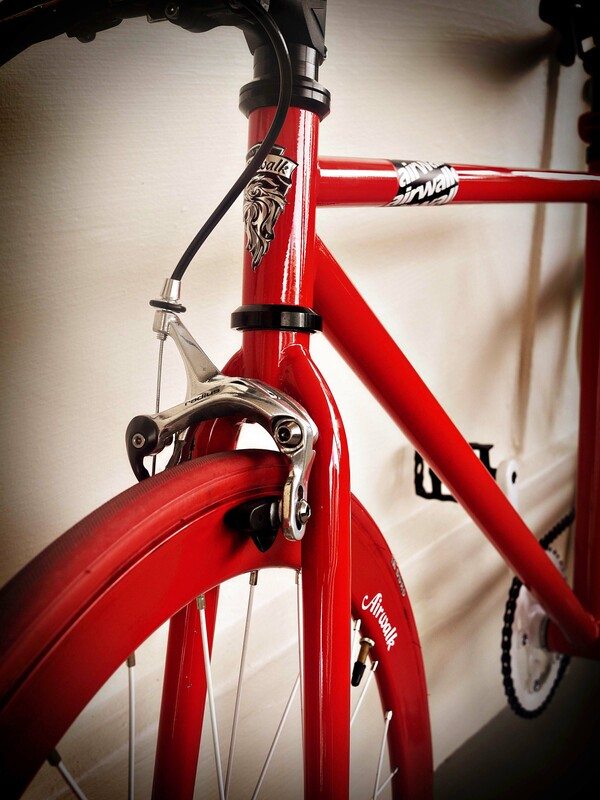 Another friend of mine’s smokin’ red version came along, a little after that first one we saw did. Isn’t it a dream? 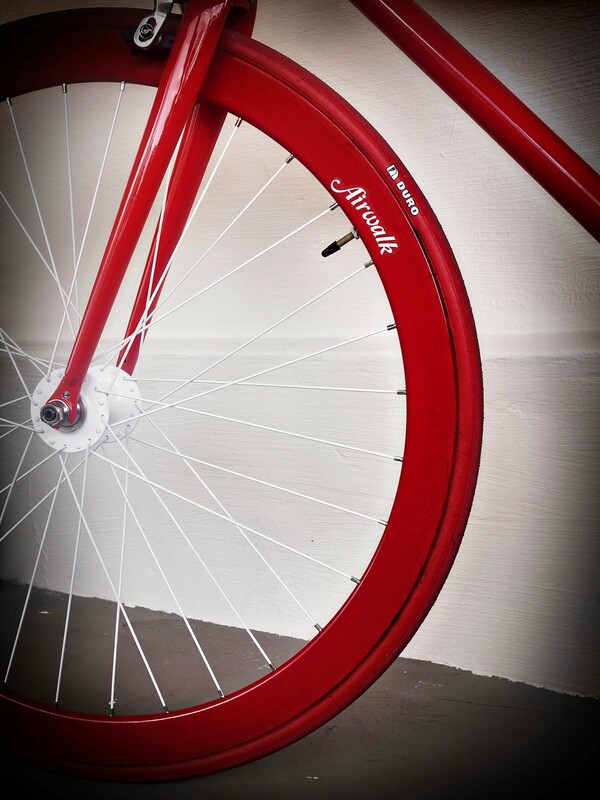 Black rims for the rear wheel and a red one in front, for accent and a little more playfulness. It has a certain charm of its own, this Airwalk. If you had something this good- looking, wouldn’t you want to go everywhere with it? 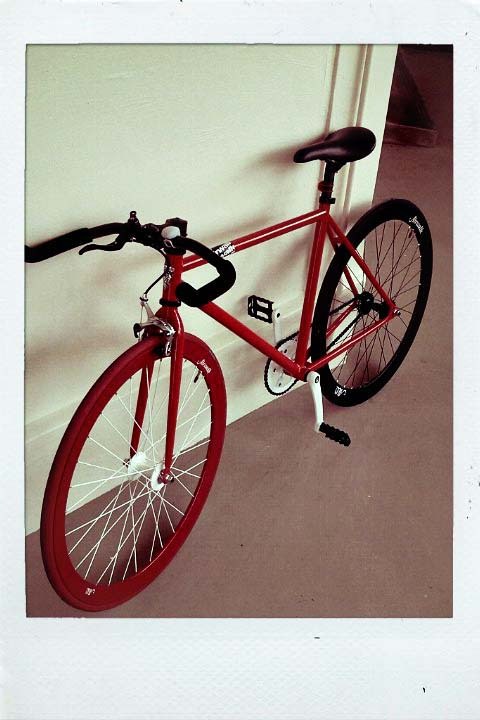 Until I get hold of him though, I bet he’s just somewhere around town, rolling along on the hot, new red one.